Hurricane Willa, downgraded slightly after briefly ramping up to a Category 5 storm — remains “extremely dangerous” and is poised to bring “life-threatening storm surge, wind and rainfall” to the Pacific coast of Mexico on Tuesday, according to the National Hurricane Center. 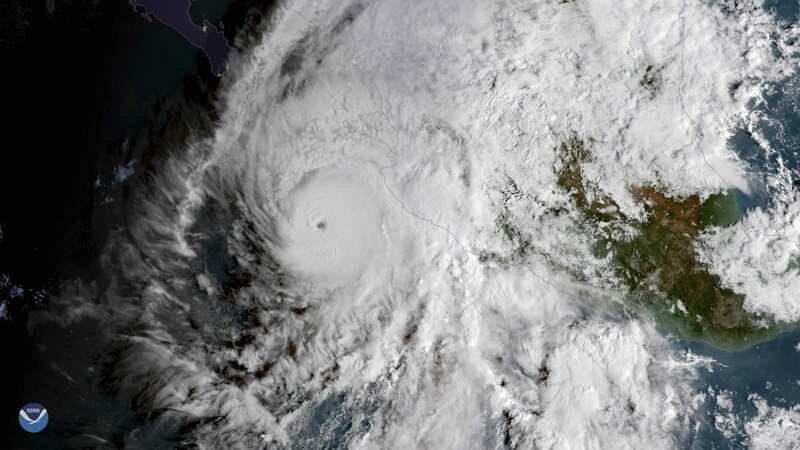 Willa, with maximum sustained winds of 130 mph, is about 75 miles from Las Islas Marias — or about 130 miles west of Puerto Vallarta. Still heading north, the storm’s speed has dropped to 9 mph, the latest NHC’s advisory says. Despite its weakening, it will be a “dangerous major hurricane” when it makes landfall. The NHC forecasts the storm will move near or over Las Islas Marias early Tuesday, and make landfall along the west-central coast of mainland Mexico Tuesday afternoon or evening. Hurricane conditions will arrive in warning areas by Tuesday afternoon. “Preparations to protect life and property should be rushed to completion,” the NHC said Tuesday at 5 a.m. ET. An “extremely dangerous” storm surge is likely along parts of the southwestern Mexico coast, the NHC says, especially “near and to the south of where the center” of the storm makes landfall. In coastal regions, the surge will be accompanied by large, destructive waves. Willa is expected to dump 6 to 12 inches of rainfall, with local amounts to 18 inches, across portions of western Mexico, including western Jalisco, western Nayarit, southern Sinaloa and far southern Durango in Mexico. “This rainfall will cause life-threatening flash flooding and landslides,” the NHC says. A hurricane warning remains in effect for 180 miles of Mexican Pacific coast between San Blas and the resort town of Mazatlan. Hundreds more miles of coast are under a tropical storm warning, from north of Mazatlan to Bahia Tempehuaya and San Blas to Playa Perula. Preparation efforts have been steady since Monday. The AP reports that between 7,000 to 8,000 people are being evacuated in the low-lying regions of Sinaloa state, which sit amid farmland nestled between the ocean and lagoons. Antonio Echevarria, governor of the western state of Nayarit, told Reuters more than 10,000 residents were being evacuated. Classes were cancelled in schools in much of Nayarit. The federal Interior Department announced a decree of “extraordinary emergency” was issued for 19 municipalities in the southwest states of Nayarit and Sinaloa, the AP reports. Large, “life-threatening” swells generated by the storm have already begun to hit parts of the southwestern and west-central Mexican coast. This year is now tied with 1992 for the second largest number of major hurricanes in a single Northeast Pacific season. First place belongs to 2015, which had 11 major hurricanes.